Title: Director of the Essig Museum of Entomology and Professor in the Dept. of Environmental Science, Policy, and Management. Where do you work primarily? 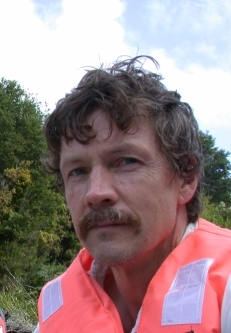 My research looks at how species form and diversify, work that takes me to the isolated environments of remote islands of the Pacific, Indian, and Atlantic oceans. These islands serve as microcosms for the whole evolutionary process and also allow us to recognize the influence of humans and other vectors of change. I work mostly on spiders, in particular those that have radiated into myriad forms on the remote islands of the Pacific. 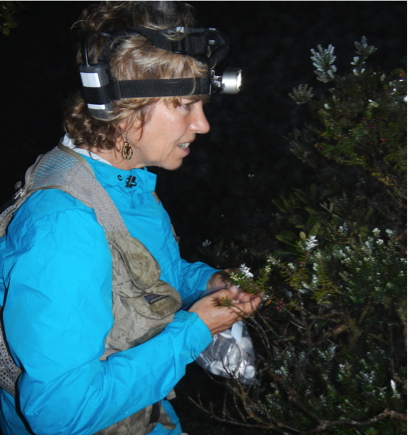 To this end, I spend many days in the high elevation cloud forests of the islands, working mostly at night when the spiders are active. What you do in your day job? On a regular day, there are lots of things going on. I teach classes to some wonderfully enthusiastic groups of students and have meetings with diverse faculty to talk about directions of various initiatives, a particular current focus being on global change biology. With my students and postdocs, I discuss their projects, which range from the genomics of scorpion venoms to the diversity of sponges in marine lakes in Indonesia, and characterization of microbial communities to the description of new species of insects and spiders. What’s your role with NfN and what do you hope to gain from it? If relevant, how will your research benefit? I became involved with NfN before I knew it existed! I was talking to a colleague, John Wieczorek, here at Berkeley’s Museum of Vertebrate Zoology, about the insurmountable problem of digitizing the massive numbers of insect specimen labels. John’s answer was to get them up on the web and ask for the help of citizen scientists. So we developed a protocol to get images of the labels up on the web – but how do we get them out to citizen scientists? This was when we discovered Zooniverse – over 2 years ago now. The first connections were made largely through the work of Joanie Ball, who is finishing her PhD here at Berkeley. And we’ve come a long way since then! Now that it’s up and running, what we can gain from it, first and foremost, is exposing the wealth of historical information to people who are ready to explore – and seeing how they engage with the material. 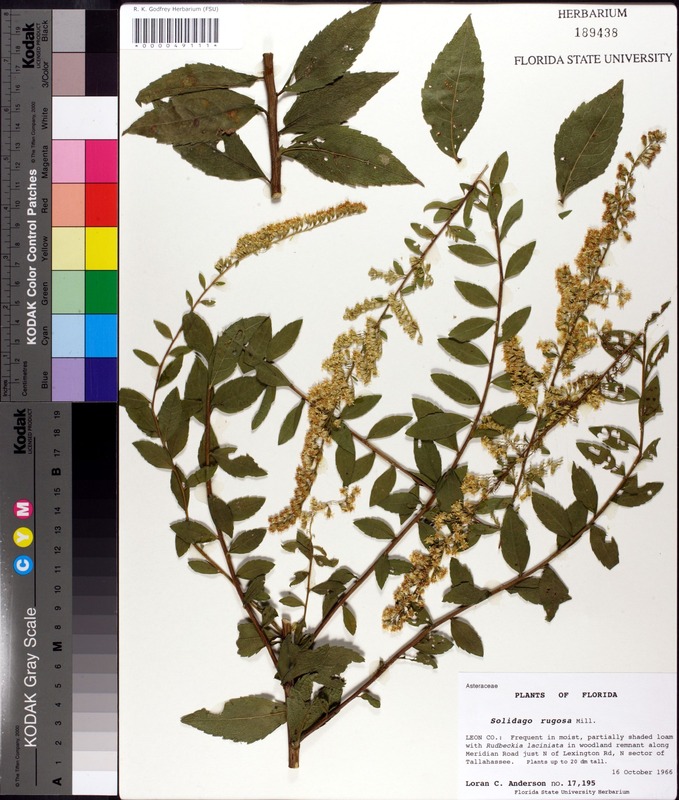 The second is the use of the information provided – how it can be incorporated into the museum database to inform us about changes in biodiversity over the history of the collection. What’s the most exciting aspect of citizen science work from your point-of-view? The most thrilling aspect of this effort is connecting with people that are interested in exploring the opportunities and genuinely want to help the scientific enterprise. It’s so exciting to see the level of interest in making this very new and exciting endeavor actually become reality! What you do in your day job? I manage the approximately six million arthropod specimens held by the Essig Museum. 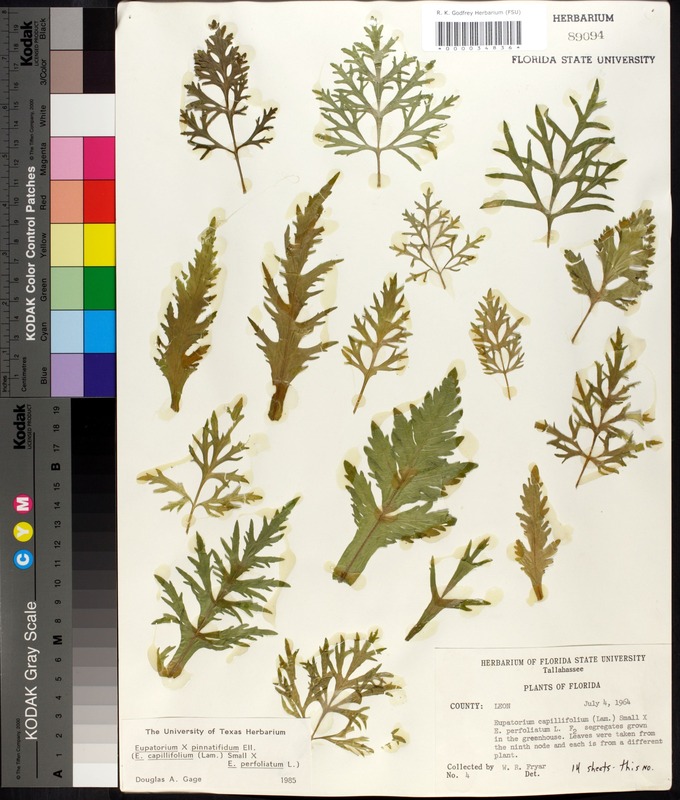 In addition to curating the collection (sorting, pinning, labeling, identifying, preserving), I interact with specialists around the world providing information and specimen loans (much like a library loans books). My research focuses on the biogeography (species distribution patterns and processes) and phylogeny (evolutionary relationships) of small moths on remote Pacific Islands like Hawaii and Tahiti. What’s your role with NfN and what do you hope to gain from it? If relevant, how will your research benefit? 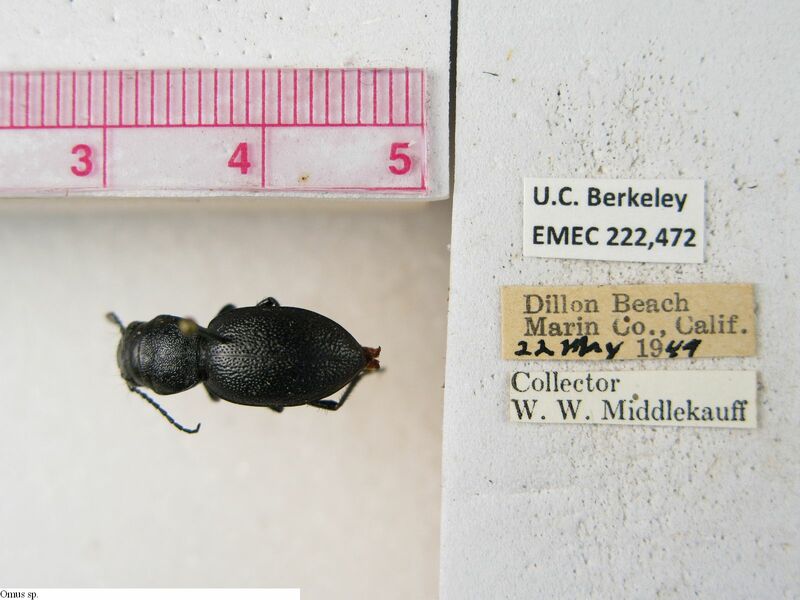 The Essig Museum is part of the CalBug initiative to digitize over one million specimens from eight California institutions. I help to coordinate a team of scientists and undergraduate assistants to image, database, and georeference these specimens. 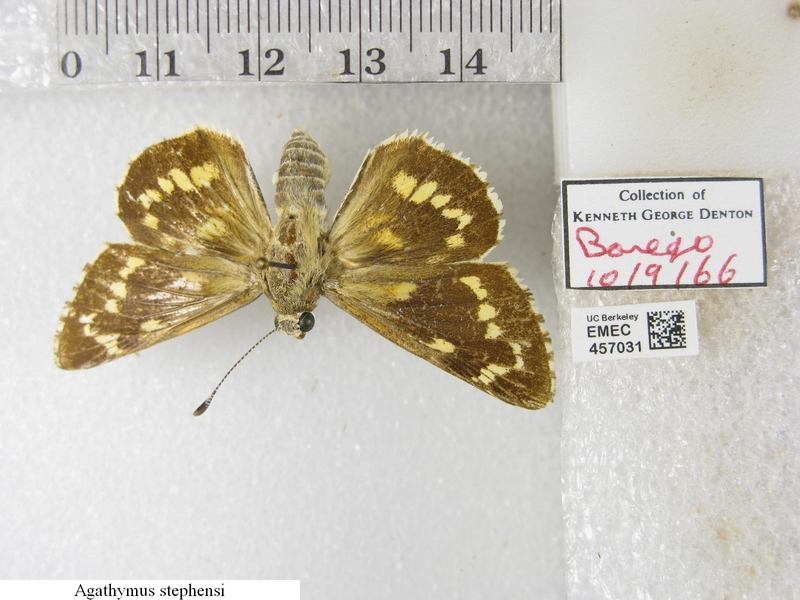 As collections manager, digitizing the Essig Museum collection will greatly aid my ability to provide specimens and data to other scientists. And as a researcher, I will use these digitized data to analyze distribution patterns across time and space in an ever-changing landscape. What’s the most exciting aspect of citizen science work from your point-of-view? Not only am I very excited to have all these extra eyes and fingers to help us process hundreds of thousands of records (a job that would otherwise take decades to complete), but I welcome the opportunity to share our knowledge and collections with the citizen science community. Tens of millions of insect and spider specimens lie pinned into drawers, folded in envelopes, or are floating in jars of alcohol within the major entomology collections of California. ** Each specimen’s tiny labels, usually about the size of a honeybee, hold information on who collected it, where and when it was found, what species it is and who identified it. Until now, this information was locked in the drawers and cabinets of eight museums, scattered throughout the state. 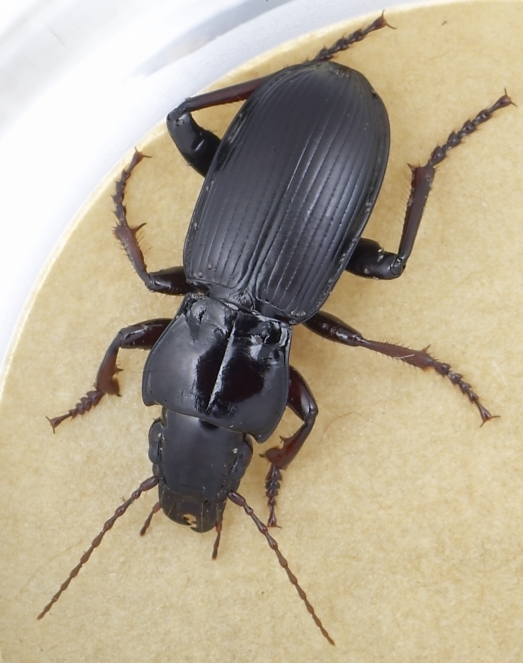 Calbug is a collaborative effort to begin unlocking this data by digitizing information for over one million specimens and publishing it online. Inside the Essig Museum of Entomology at UC Berkeley. Photo by Marek Jakubowski, 2010. The rich history of arthropod collecting in the state kicked into high gear with the California Insect Survey, which launched in 1939 to document the diversity and composition of insects and arachnids. A major goal was (and is) to provide practical information about insects, primarily for agriculture. Crops, for example, rely on pollinating insects (like bees and butterflies) and are plagued by pests (like aphids), while other insects (such as ladybugs and parasitic wasps) can help control the pests. Bugs provide a variety of benefits and detriments to other organisms—some assist in decomposing dead matter or provide food for birds and other vertebrates, while others may be vectors of disease or pests. Entomologists have been busy collecting as many of them as possible. While a majority of our collections are from California and the western United States, we have specimens from all over the world. Besides being key components of agriculture and other ecosystems, insects are the most diverse animal group on the planet, with over one million described species. This accounts for 80% of all known animal diversity. Studies estimate that there are likely five to ten million extant arthropod species in total, including those that have not been discovered yet. Such large diversity, and the small size of individuals, means that a single museum may house millions of specimens. For example, the Essig Museum of Entomology at UC Berkeley has an estimated six million specimens and the California Academy of Science has about ten million. In fact, we have so many specimens, that we can only estimate how many there actually are! Click here for some great arthropod photos. Western Branded Skipper (Hesperia colorado), on a flower. Photo by Ray Bruun, 2011. Because the databasing task is so large, we are first focusing on specific localities that have been sampled more consistently through time, and on groups that address important environmental issues (such as the pollinators and pests mentioned above) and charismatic species (like colorful dragonflies, butterflies and beetles) that have been well-collected over time. The end result will be a specimen database of geographically referenced specimens, and analyses of how changes in species distribution relate to land use and climate. In addition to learning about the distribution of individual species, we can use insects and spiders as indicators of environmental change. These diverse creatures have relatively short life spans, limited distributions, and a wide range of tolerances to habitat alterations. They can therefore provide fine-scale information on habitat change that we use to better understand how ecological communities are changing over time, and make predictions about the future. In future posts we will discuss some of these groups in more detail, so stay tuned! Ohlone Tiger Beetles (Cicindela ohlone), mating. Photo by Joyce Gross, 2010. For the launch of Notes from Nature, the CalBug team chose to share some of our charismatic species like Tiger Beetles, Bombardier Beetles, and Skipper Butterflies. These insects are striking in appearance, but also have fascinating behaviors—check out the links below to get a glimpse. 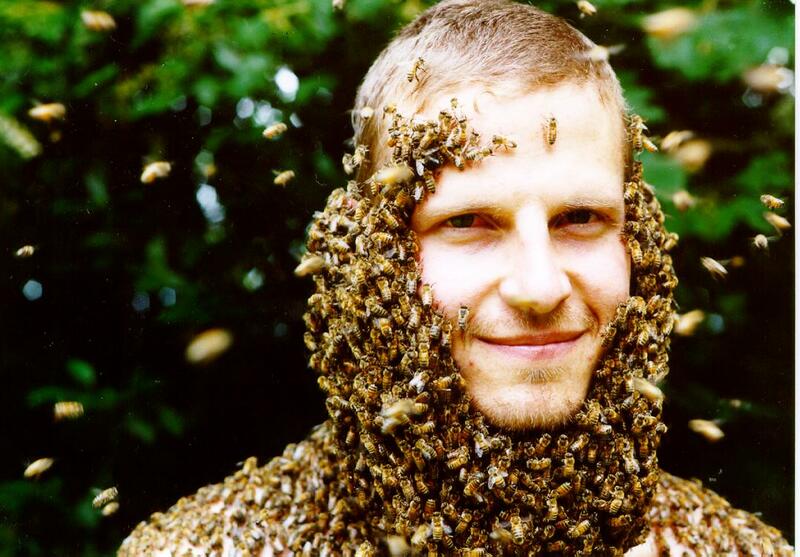 We hope you enjoy these insects as much as we do, and thank you for your help! *An arthropod is an invertebrate with an exoskeleton, a segmented body, and jointed appendages. This includes insects, spiders, crustaceans, and more. **Calbug institutions include: The California Academy of Sciences, Essig Museum at UC Berkeley, Bohart Museum at UC Davis, Entomology Research Museum at UC Riverside, California State Collection of Arthropods, San Diego Natural History Museum, LA County Museum, and Santa Barbara Museum of Natural History.